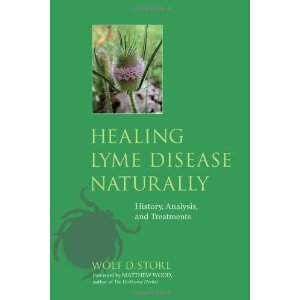 Not just when regular treatments for Lyme disease fail, we HIGHLY recommend you add holistic approaches and support right from the beginning to compliment your regular medical support to bring balance to the microbial issue and your body’s systems. A radically different and extraordinarily effective health program that addresses all infectious disease and microbial imbalances. Fantastic, effective and ideal tool! But it comes with a steep learning curve. To start with MAP, will make it much easier. Easy to use and no learning curve! Balancing and strengthening your body’s systems and their microbes has never been this easy! With the MBP Balancing Solutions, you just unscrew the dropper and put the correct number of drops into your mouth. The Perelandra MBP Balancing Solutions have been created by nature from a combination of electrical infusions from different plants, minerals, natural gases and elements found in the sea, atmosphere and on land. The Solutions contain water, their specific electrical pattern and a preservative (brandy or vinegar). By taking the Solutions daily, we can ensure that our body’s systems receive the natural support needed for proper function in today’s world. 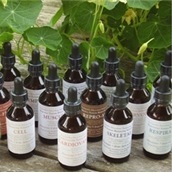 Safe and natural, these oral solutions may be taken by adults, pregnant women, children and animals. One 2-oz. bottle lasts one person three to six months. 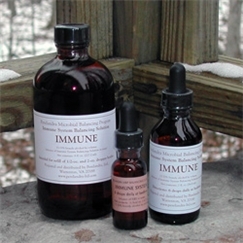 When considering which Solutions are right for you, we recommend starting with the Immune and Lymphatic 2-bottle Combo. Then look at the Solutions list and ask, “Does this MBP Balancing Solution apply to my health concerns?” If the answer is yes, add in that particular Solution. A brochure is included with all first orders, and the complete Guide can be purchased separately or viewed free online: MBP Solutions Guide. We invite you to enter PIC — it’s open 24/7 — and learn about what PIC offers and how to use its services to enhance your life in every conceivable way. To say that with PIC the sky is the limit is an understatement. There’s no registration fee, membership or purchase requirements. You don’t even have to travel to get to PIC. It’s there to serve you no matter where you are and any time you’d like. All you have to do is come on in and enjoy this new world. Just click on your friendly PIC librarian and learn all about it! This PIC option is particularly effective if combined with above Microbial Balancing (1) – they support each other really well to address the microbial issue and the effects in your body systems. but these mushrooms powerfully support your natural immunity! These high quality Medicinal Mushrooms have a wide range of long known beneficial effects – lots of modern studies support this. For more information on their Targeted Therapeutic Effect, see the Cross-reference Chart or also the book MycoMedicinals® by Paul Stamets. MyCommunity™ is probably the most potent Mushroom product in the range of Fungi Perfecti – Host Defense and should be considered if you want to support your natural immunity. If you need/want to consult a well trained and experienced wholistic health practitioner about your options, we can suggest Antje Rickowski from Leo Vitalis, Licensed Naturopath for Herbalism, Homeopathy, Iridology, Nutrition, etc.